Or at least that’s how it feels releasing this update, because v2.1 brings a complete change-up to it’s default design. 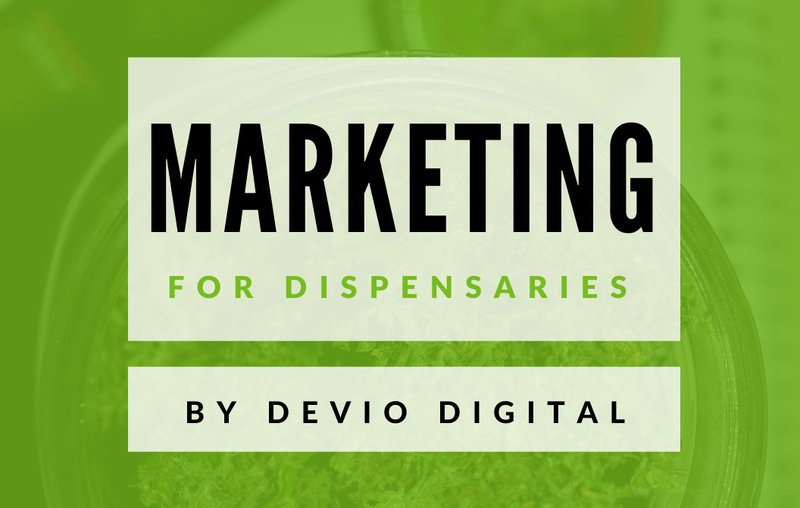 Our #1 WordPress theme for dispensaries & delivery services is growing up, and with that comes a more sophisticated style. Let’s take a look at what’s new in version 2.1! 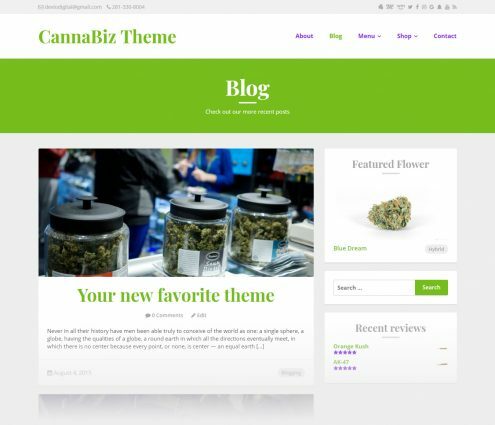 The Version 2.1 release ushers in a sleek new look for the CannaBiz WordPress theme, with a subtle color palette and title font family. While you can still control all of the colors and fonts in the Customizer, these new default options give CannaBiz a more grown up style right out of the box. Arguably the biggest change in this release is the new default colors throughout the theme. When the CannaBiz theme was first released, the colors used were picked in part to stand out when screenshots of the theme were compared to other WordPress themes in the market. The wow-factor did it’s job when it launched, but over time the colors began to feel dated, so I knew it was time for a change. The colors themselves remain the same, but their uses within the Customizer’s Colors section changed drastically. 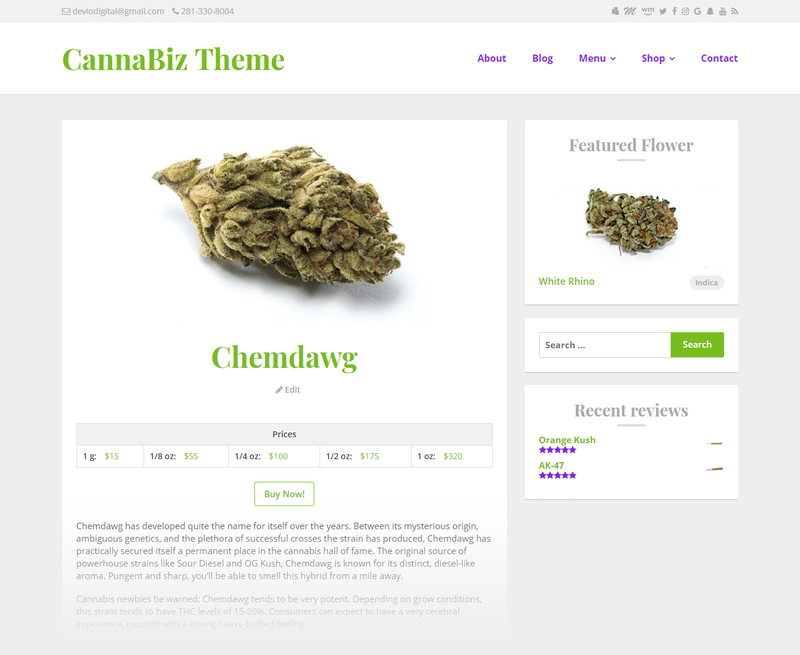 Another change to help the CannaBiz theme “grow up” is the choice of default font for headings throughout the theme. Previously CannaBiz used Oxygen as the font family for headings – which was also used to stand out against the sea of other WordPress themes available around the web. Version 2.1 changes the font family for headings to Playfair Display. It’s still got style all it’s own, but helps to keep the default layout clean and easy on the eye. Another subtle change to the layout is the removal of tags in your blog entry’s footer and replacing them with the blog post’s categories. Doing this cleans up the blog post view while still allowing you to tag your posts accordingly in the back end. This release also updates a few bugs throughout the theme which effected users both in terms of functionality errors and cosmetically. While CannaBiz is a WP Dispensary product, it’s able to be used to power a wide variety of websites because of it’s easy to customize styles and lightweight code. There was also an issue of the WPD specific Sidebar’s still being available via your Widgets admin page, even if WP Dispensary isn’t installed & activated. This bug has been squashed by conditionally adding the WP Dispensary specific sidebar registration in the theme. In the Customizer there’s an option to change the Pages title from default to Large. When selected, it will add a large bar across the site directly under the header, like in the theme screenshots throughout this post. The problem was that if you set a custom home page and blog posts page through the Customizer’s Settings the “Blog” title would not display. The large title bar would previously also not display on archive pages, like the WP Dispensary’s menu types, WooCommerce Shop page, etc. These bugs have been squashed in CannaBiz version 2.1 so the large title bar displays on these pages. This update fixes a bug with the CSS in the Customizer that adds color style to WP Dispensary’s table class name. Beyond the fresh new paint job and bug spray, there’s a few other updates that are included in the version 2.1 release. It is now available in the Customizer by going to Appearance -> Customize -> Social and will display alongside your other social media links in your header. This release updates the My Account page layout styles, adding icons to the menu items and removing the background color for the menu items on the page. 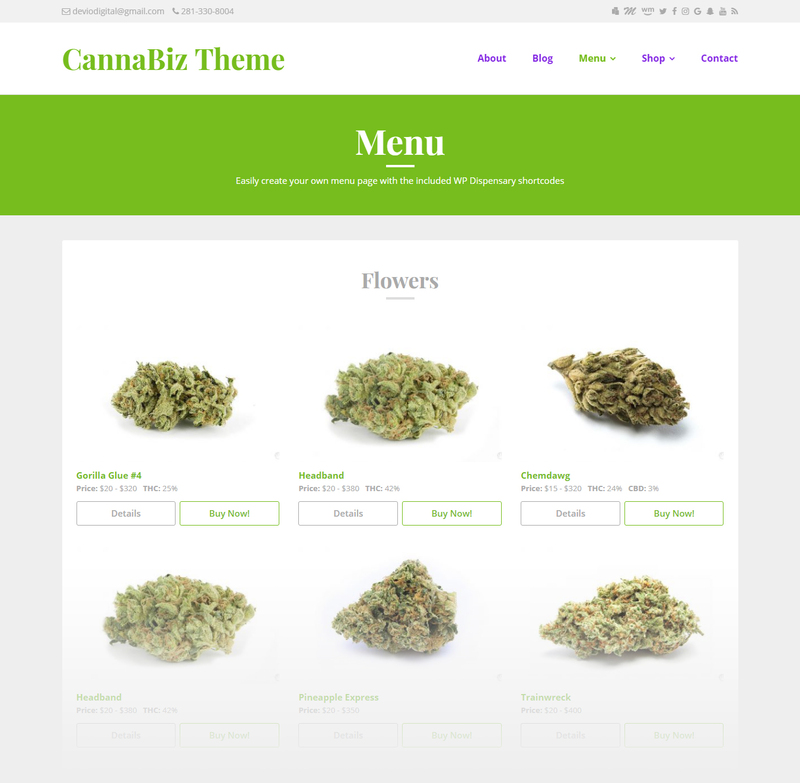 Version 2.1 of the CannaBiz theme includes CSS to customize the Delivery Drivers for WooCommerce plugin’s styles so it fits perfectly with the rest of the CannaBiz theme. Version 2.1 of the CannaBiz theme includes updates that style the modal window in our Age Verification add-on to match the new default styles in the CannaBiz theme. If you have already purchased CannaBiz, you will be receiving an email with update information. Head over to the CannaBiz product page and download your copy now!